Gosta la Vida! (Taste Life ! 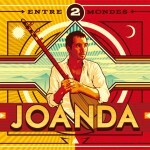 ), the latest hit by Joanda, is a reinvigorating breath of fresh air from the south of France. It is from the mediterranean sea, from the warm sandy beaches of Languedoc that Joanda, singer and writer, invites us to enjoy ‘a sun which never sets’. For this song, Joanda surrounded himself with a musical dream team including producer Laurent Guéneau (Sinsémilia, Souad Massi) and mixers Hubert Salou (Inna Modja, Zaz) and Raphael Jonin (Indochine, M). This song, from the album entitled Entre 2 Mondes (Between 2 worlds) by Joanda, is also produced by Erick Benzi (Yannick Noah, Jean-Jacques Goldman) and Bruno Mylonas (Vanessa Paradis, Aldebert). It is an album where the rythms of the guitars blend with the melodies of traditional mediterranean instruments. With a lyricism at once unique and universal, this latest album is imbued with the spirit of a land and a people, and soothes our ears, always seeking new sounds. It is a journey to the heart of southern France. 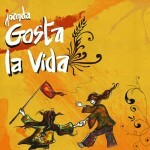 You can download the song Gosta la Vida! (Taste Life !) on iTunes or BandCamp.